Managing credit is an important part of our lives. In today’s modern society, it’s very difficult to live a debt free life. Credit management is essential for everyone. The importance of credit management cannot be stressed enough. Failure to come up with a credit management plan can lead to huge amounts of debt and in a worst case scenario, bankruptcy. Here are some good credit management tips. Make a list of all your debts and then use your credit report to confirm them. This prevents you from leaving out any debt. Print your debt list and refer to it from time to time while you pay your bills. Update your list as the amount of your debt decreases. Establish a budget and watch how you spend your money. Make a list of all the items you purchase and analyze the list to single out those items you do not absolutely need. Spending on non-essential things can lead to serious financial problems. You will not have enough money to pay your bills and may have to use your credit cards to pay for them. A bill payment calendar can help you know which bills to pay off when you receive your paychecks. Write down all your payment due dates on a calendar. This will help you to pay your bills on time. Make sure that you are up to date with your minimum payments as this prevents your debts from accumulating. Pay more than the minimum payment if you can as this will help you clear your debt faster. Making the minimum payment does not help you clear your debts. Once you skip a payment, it becomes harder to keep up so you might end up defaulting on a debt, which can result in a severe penalty. 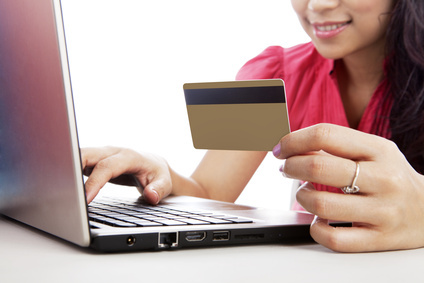 Start by paying off your credit cards because they usually have the high interest rates. Select the card with the highest interest rate and pay it off first. Use your debt list to prioritize those debts you want to pay off and cancel them out once you finish paying them off. If you do not have enough money to pay off your debt, try to keep your accounts in good standing. If you have accounts that have negatively affected your credit history do not pay them off first, instead use the funds available to pay off the balance on the good accounts. Pay those past due accounts once you have enough money to do so. Emergencies are expensive and they are likely to occur when you least expect them. If you have an emergency fund, you can use that money to pay for emergencies. You can start by saving $1000 then save up to 6 months of your monthly salary as this is the ideal figure. Make an appointment with a credit counselor from a reputable agency that will review your financial situation. Be honest about your finances as this will help your credit counselor recommend the best debt relief option for you.